What is the Primary Years Programme? 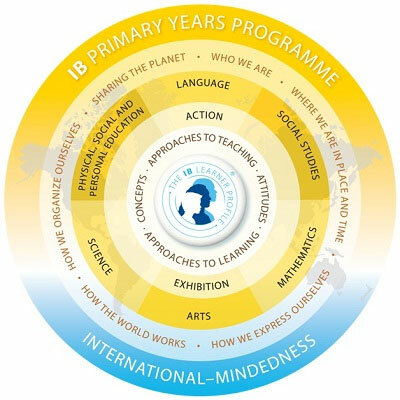 The International Baccalaureate Primary Years Programme (PYP) is a transdisciplinary programme of international education. The Primary school follows an inquiry based methodology. At Victorious Kidss Educares emphasis is on the development of inquiry skills and the nurturing of inquiry attitude that involves questioning, exploring, contemplating and researching on various topics of interest, this in turn creates lifelong learners. We have a curriculum which is concept-driven. Importance is given to acquiring skills in real life context and exploring content that is appropriate to students; transcending the boundaries of the traditional subjects making it more applicable in real life scenarios. This propels the process of inquiry about the form, function, causation, change, connection, perspective, reflection and responsibility. Thinking, communication, social, research and self-management skills are developed throughout the process of inquiry. PYP promotes the attitude of appreciation, commitment, confidence, cooperation, creativity, curiosity, empathy, enthusiasm, independence, integrity, respect and tolerance. Students are encouraged to help their peers, school staff and the wider community by applying knowledge to service and positive action. Significant, relevant content that we wish the students to explore and know about, taking into consideration their prior experience and understanding. PYP has identified themes or areas of knowledge which organize the 6 units of inquiry. An inquiry into the nature of the self; beliefs and values; personal, physical, mental, social and spiritual health; human relationships including families, friends, communities, and cultures; rights and responsibilities; what it means to be human. An inquiry into the natural world and its laws; the interaction between the natural world (physical and biological) and human societies; how humans use their understanding of scientific principles; the impact of scientific and technological advances on society and on the environment. Where we are in place and time? An inquiry into orientation in place and time; personal histories; homes and journeys; the discoveries, explorations and migrations of humankind; the relationships between and the interconnectedness of individuals and civilizations, from local and global perspectives. These themes provide a framework for teachers to design units of inquiry that incorporate district/state/national learning standards as well as opportunities for students to develop the skills, attitudes, concepts and knowledge needed to become international-minded and life-long learners. This is supported and balanced by skills and knowledge from the 6 traditional subject areas towards the development of a child.